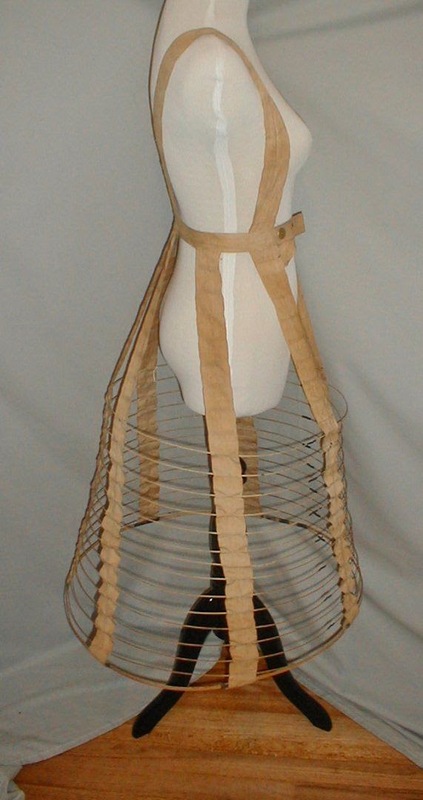 A superb 1860’s Civil War era hoop cage. 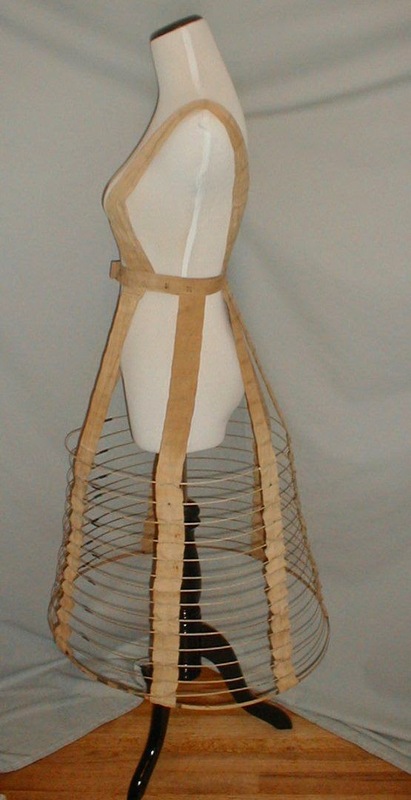 The cage is made of linen straps and linen covered wire hoops. It has attached should straps. 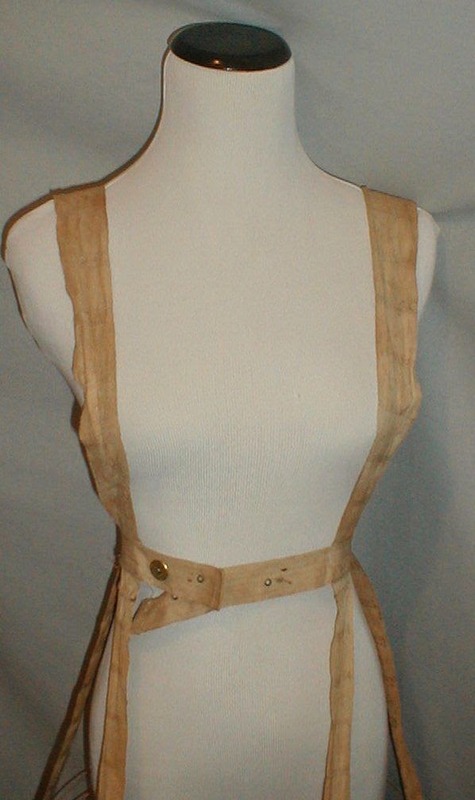 The waist has a front hook and eye closure. It is in very good and sturdy condition. 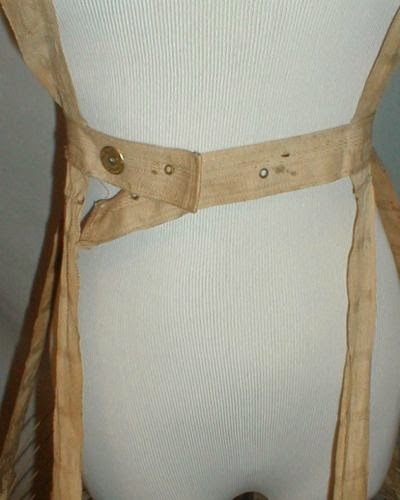 Waist 26 Length 31 Width at bottom 71. DUDE! 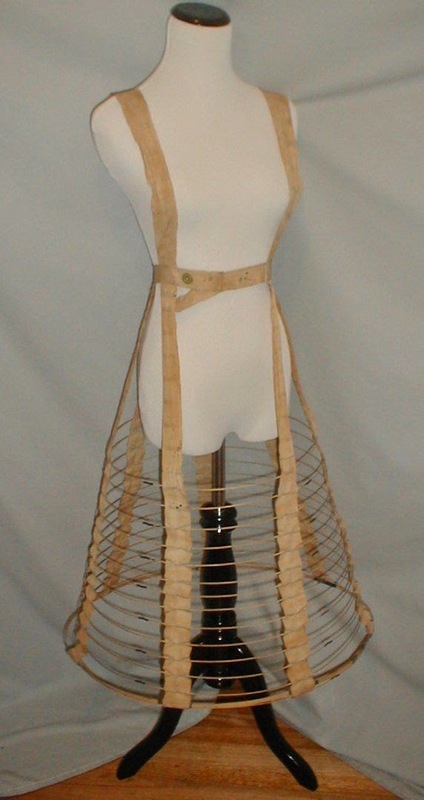 Have you seen 1860's Civil War skirts before?!? They ain't no 71 hem at the bottom. Sorry. 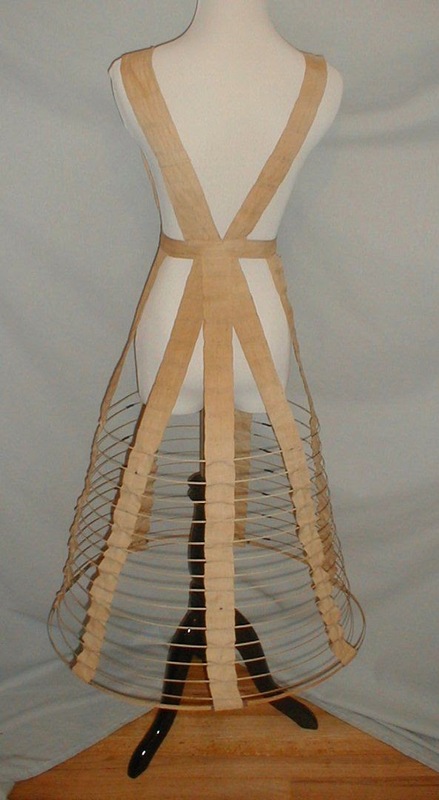 This is a really cool late 1870's natural form era hoop to support those massive layers of velvet. You can see a similar hoop here in google patents.